Finally, we learned there is a confidence from these sources that her server had been hacked. And that it was a 99% accuracy that it had been hacked by at least five foreign intelligence agencies, and that things had been taken from that. This sounds like something much more specific than longstanding suppositions by intelligence and computer experts that Clinton’s vulnerable server was probably hacked. At least one prominent hacker, the notorious “Guccifer,” knew of ClintonEmail.com’s existence; he raided the system of her longtime confidant and adviser Sidney Blumenthal, and Blumenthal had her secret email address. FBI Director James Comey told the House Oversight Committee in July that Guccifer himself (real name Marcel Lazar) was lying when he previously claimed to have breached Clinton’s server. He might have disclosed its existence to other hackers, however, and if he could find Clinton’s system, other interested parties, especially the kind that have foreign government money behind them, certainly could. State Department IT tech Brian Pagliano reported a sustained attack to both a Bill Clinton aide and the U.S. Secret Service. Those attackers were savvy enough to use the names of people in Hillary Clinton’s orbit in their login attempts. As Fox News recalls, we now have documented evidence of at least a dozen other hacking attempts on Clinton’s server, including five that occurred after she left the State Department. McCaul said this exposure “absolutely” exposes Clinton to blackmail, should she become President of the United States. 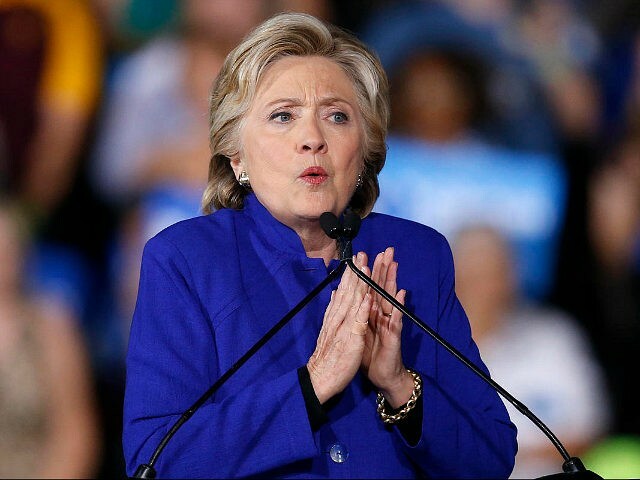 It also may have exposed the current President, Barack Obama, because, contrary to his false statements, we now know he was aware of Clinton’s secret server and was communicating with her using a phony name and email address. McCaul noted that Obama’s pseudonym was unlikely to fool any foreign intelligence agents who raided Clinton’s server. “I think he believed, and rightly so, he had new evidence, and he had an obligation to the Congress to turn that evidence over, and let the Congress know, and the American people, before the critical decision – that this case was not over, as Hillary Clinton said, ‘I’m cleared, it’s all over.’ Jim Comey is the hero here, coming in and saying no, that’s not the case,” said Rep. McCaul.